Works carried out. 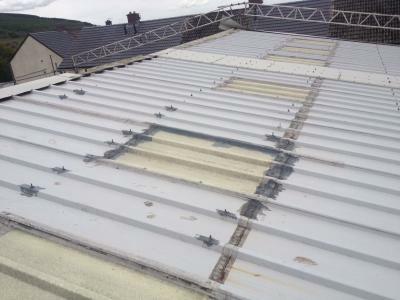 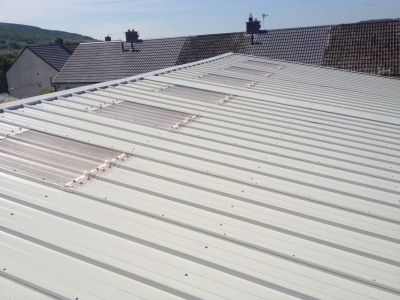 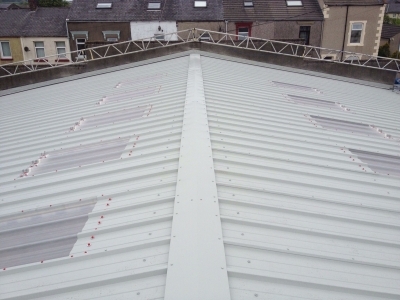 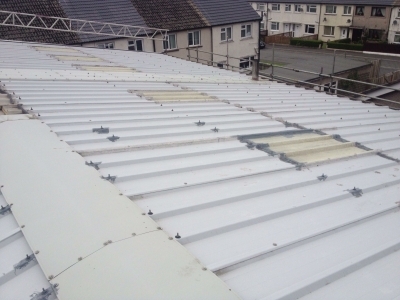 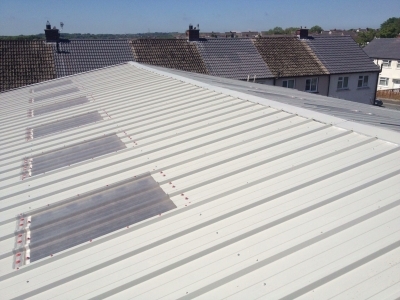 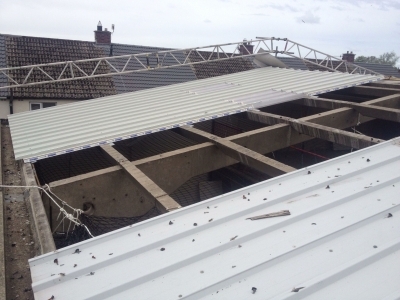 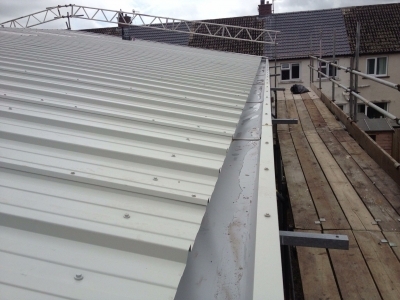 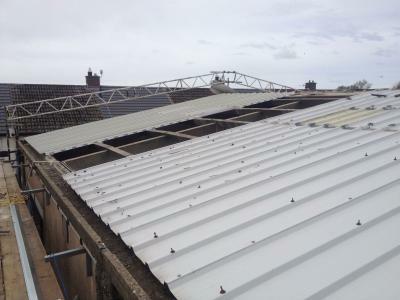 Remove old and failing composite panel sheeting, fitted new galvanized steel purlins to concrete purlins. 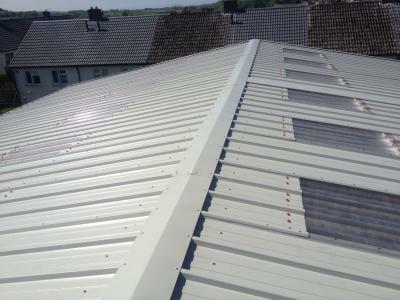 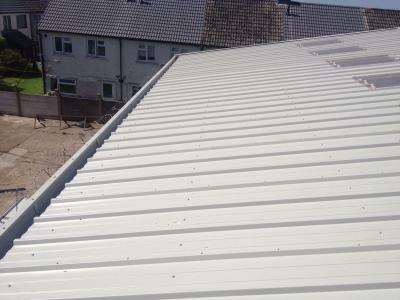 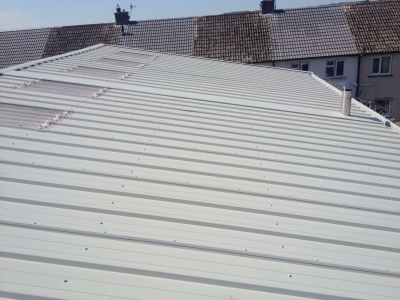 Fitted new 80mm steadmans as35 profile metal sheeting composite panels. Re-lined gutters With Firestone TPO gutter liner membrane.